Located in the heart of Morristown, this hotel is within a 5-minute walk of Morristown Green and First Baptist Church. Inline Morristown and Fort Nonsense are also within 10 minutes. Morristown Station is 11 minutes by foot. 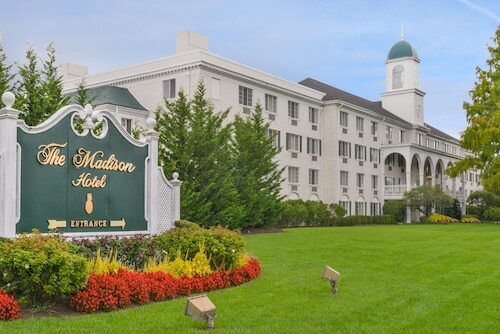 Set on eight garden-filled acres, this Victorian-furnished family-owned hotel is within walking distance to New Jersey Transit, with a 30-mile commute to New York City. Situated in the suburbs, this spa hotel is within a 10-minute walk of Acorn Hall and Washington's Headquarters Museum. Morris Museum and Schuyler-Hamilton House are also within 1 mi (2 km). Morristown Station is 18 minutes by foot. Situated in Morristown, this apartment building is steps from First Baptist Church and Morristown Green. Fort Nonsense and Inline Morristown are also within 10 minutes. Morristown Station is 12 minutes by foot. How Much is a Hotel Room in Morristown? Hotels in Morristown start at $109 per night. Prices and availability subject to change. Additional terms may apply. Visitors to Parsippany are in the ideal position when it comes to start looking for the perfect hotels and apartments in Morristown. Find inspiration with no less than 24 establishments within a stone's throw of downtown Morristown on our easy-to-use lodging section. When you are hoping to book a room that's only a short walk from Morristown's downtown precinct, Hyatt Regency Morristown at Headquarters Plaza and Global Luxury Suites at Monroe are ideal. 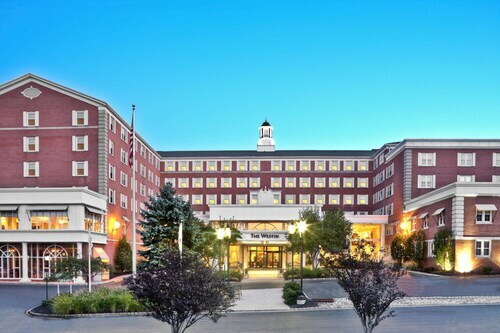 The Hilton Short Hills is positioned 8 miles (12 kilometers) from the central part of Morristown. Alternatively, the The Westin Governor Morris, Morristown is located 2 miles (4 kilometers) away. Alternative places to rest your head include the Hanover Marriott and the Residence Inn By Marriott West Orange. If you have the time to experience more of the coastal plains and forests in this region of United States of America, you may choose to plan extra time in other areas of North Jersey. Take part in snowboarding and skiing or explore the area's varied attractions. Convenient hotel options await your arrival. 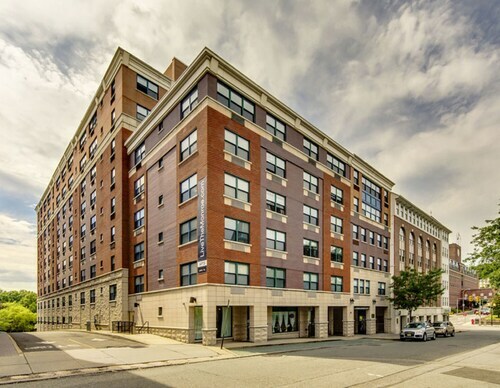 5 miles (7 kilometers) away from Morristown, you will reach Madison, where you can visit Shakespeare Theatre of New Jersey and Drew University. 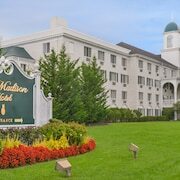 If you want to stay in Madison, check out the rooms at the Madison Hotel and HYATT house Morristown. For another option, head to Wayne, 18 miles (28 kilometers) to the northeast of Morristown, where you can pick from the Residence Inn by Marriott Wayne and Best Western Plus Regency House Hotel. The Willowbrook Mall and William Paterson University are more popular attractions to experience when visiting Wayne. Get a fix of local sport by making a journey to Madison Square Garden, which is 25 miles (43 kilometers) to the east of Morristown. Book Travelocity-listed accommodation right near the sporting action at the The St. Regis New York or the Mandarin Oriental, New York. If you're flying via Liberty International Airport and would like to stay in the area, why not consider Residence Inn Newark Elizabeth/Liberty International Airport or Courtyard Newark Elizabeth.